Dental implants can make your smile whole again. If you have missing teeth, you know what it’s like to deal with the hassle of removable prosthetics. 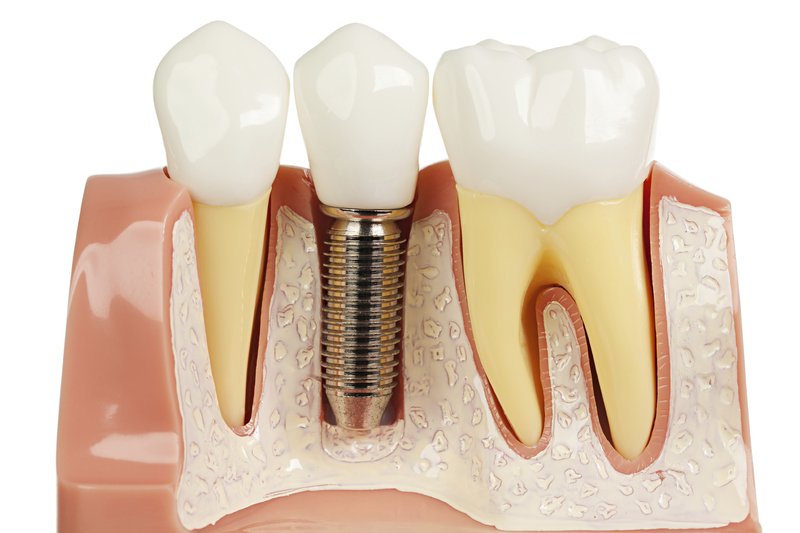 In contrast, dental implants provide a strong and lasting solution to the challenges posed by missing teeth. At the dental office of Dr. James White and Dr. David Yongue, we can restore your smile with implant dentistry in Berkeley, CA. When planning your implant treatment, Dr. White first performs a thorough exam to determine if a dental implant will successfully fulfill your needs and goals. Even if you have been missing teeth for a while and require preliminary care, such as a bone graft, Dr. White, and Dr. Yongue can work with a trusted local oral surgeon to complete any pre-treatments and allow patients to enjoy the benefits of durable, implant-supported teeth. If a dental implant will work best for you, your implant placement surgery can be completed by our recommended oral surgeon. Your highly trained surgeon will add any number of implant posts you may need to replace missing teeth in your smile. Implant surgery is often more comfortable than many patients imagine. Single Implant Crowns – If you’re missing just one tooth, adding a single implant post and topping it with a custom-made dental crown will allow your smile to look full and healthy. Dental Implant Bridges – When small groups of teeth are missing in one or more jaw arches, two dental implant posts can be used to secure a multiple unit dental bridge. The result is comfortable and seamless teeth replacement. Implant bridges, unlike traditional fixed bridges, do not rest on existing teeth. Dental bridges can be made in varying lengths to support more comprehensive restorations as well. To create your implant-supported dental restoration, we work with a local dental laboratory that has been in the Bay area for decades, much like our office. Our close relationship with our lab allows Dr. White and Dr. Yongue to provide patients with beautiful, high-quality dental treatments. Patients can choose from porcelain and zirconia restoration – materials that are known for their life-like traits. If you have questions about how dental implants can help you enjoy a renewed, healthy, and fully functioning smile, contact our Berkeley implant dentists today for your consultation.